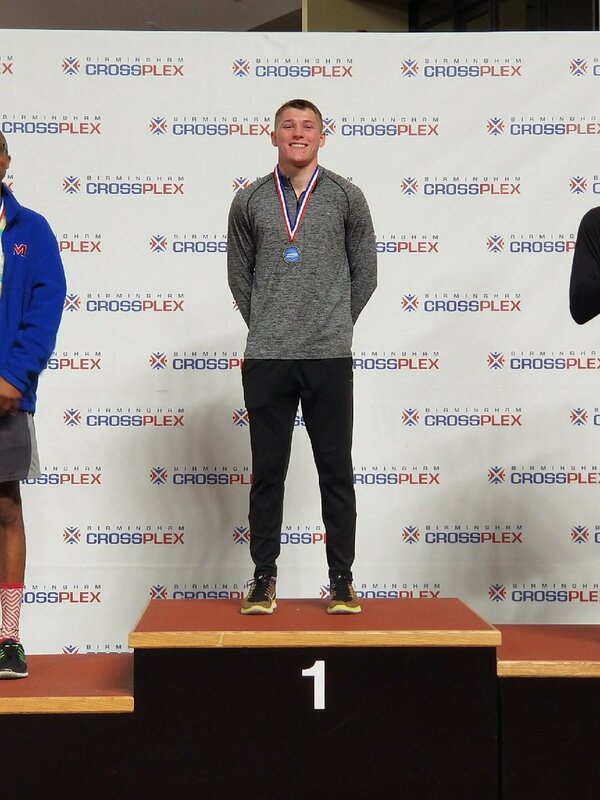 BIRMINGHAM – The Ice Breaker Invitational indoor track meet was held over the weekend at the Birmingham CrossPlex. Below are results from local participants. Addison: Emee Baldwin- 2nd in High Jump at 9'6"
Cold Springs: (Girls) Lilly McSpadden- 16th in High Jump at 4'6"
Fairview: (Girls) Lorin Zehr- 5th in Shot Put at 30'6"
Fairview: (Boys) Quinton Chambers- 17th in 800-Meter Run in 2:16.94, Chambers- 16th in 1,600-Meter Run in 5:02.97, Cody Fallin- 22nd in 5:11.18, Dylan Garner- 10th in Shot Put at 38'7"
Shot Put: Shelby Sellers- 2nd at 32'7"
Long Jump: Couch- 33rd at 15'7", Moore- 36th at 15'3.75"
Cullman: (Girls) Triple Jump: Lexi Daily- 16th at 32'5.5"
Shot Put: Madelyn Hendrix- 34th at 25'11", Raigan Canter- 44th at 23'8.5"
High Jump: Colton Smith- 4th at 6'2"
Long Jump: Cameron Baumgartner- 38th at 17'11.5"
Shot Put: Garrett Crider- 37th at 33'0.5", Will Reid- 41st at 32'2.25"